Wiidoo is a snow professional. You will find the gear you need on site ! Rent your ski gear in the Vosges with Wiidoo’Gliss ! Alpine skis rental for adults and children on site. Rental shop opens at 9 am. Full ski gear : skis, boots and poles ! Kit yourself out from head to toes with quality gear to practice ski safely in the Vosges. Several sizes available, see the rate chart below. Good deal : Rent your ski gear for 1 hour 30 minutes. Possibility to rent boots only or skis+poles only. On snowshoes, you will be able to discover places you thought were inaccessible. The only advice we can give you is to wear waterproof and breathable shoes (with rigid or semi-rigid soles) in which you feel comfortable. Snowshoes are adjustable and adapt to all kinds of feet. Several kinds of sleds are available to discover the pleasure of sliding in various forms. The Yooner : light, easy to handle, provided with a shock absorber for your comfort, and with a ski-like shape skate allowing you to take short curves. The snake-gliss : Group-based and playful activity that you can enjoy on Wiidoo Gliss Park slopes. Put together on a removable axis the identical sleds form one only and unique train. 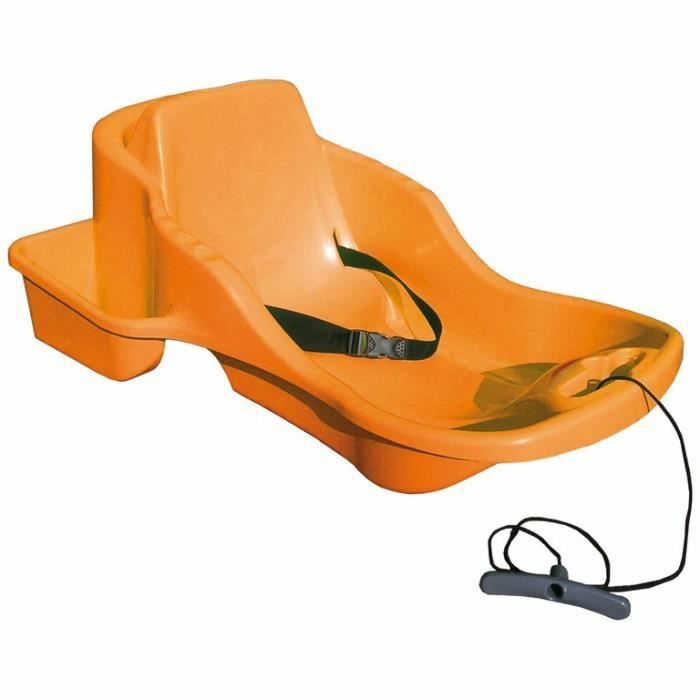 The traditional sled : For small children or traditional sliding lovers, plastic sleds (for one or two persons) can be used on the sledding slopes. We also offer 2 kinds of sleds for babies : a stroller-sled and a sled with backrest. So that young children can share happy moments with their parents, we offer the possibility to rent a pulk. Dedicated to children under 6 years old, the pulk is a type of sleigh pulled by a skier. The pulk is also suitable for children with a disability. For your convenience, we rent helmets for children and adults. HELMET USE IS COMPULSORY FOR CHILDREN UNDER 16 ON THE LONG SLEDDING AND SNOWTUBING SLOPES. Possibility to rent poles only.